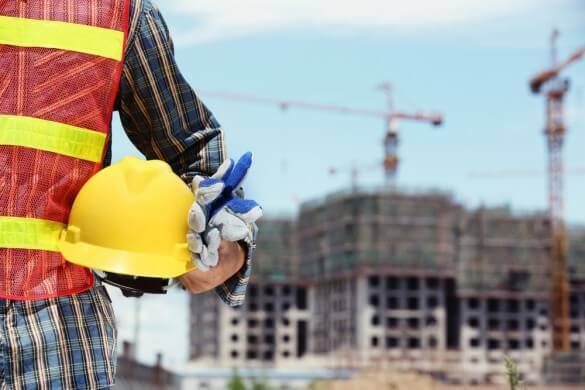 According to the Bureau of Labor and Statistics, about 4 percent of all construction workers suffered some sort of nonfatal injury or illness in 2014. This covers all different parts of the industry, from specialty contractors to general builders. While you may think construction accidents only pertain to serious injuries from heavy machinery or falling from great heights, the truth is that there are any number of reasons why a worker could get injured on site. Construction accidents are more complicated than other forms of injury because of the legality surrounding them. Contractors and subcontractors have their own requirements regarding workers’ compensation. If you get injured on the jobsite, you need experienced attorneys who can make sure you get the compensation you deserve. Whether by your negligence or someone else’s, getting injured on the jobsite can seriously hinder your ability to work and provide for your family. There are common injuries that can be avoided, however. These are the most common claims, according to the Occupational Safety and Health Administration, or OSHA. California workers’ compensation laws are incredibly complicated and full of loopholes. One of the most important things to remember is the difference between an employee and an independent contractor. If you work as a contractor, the entity who hires you is not required to carry workers’ compensation, insurance or any other protection. You can carry your own insurance as an independent contractor; in fact, it’s encouraged. That may help if you become injured. But whether you are working as a contractor or as an employee, the insurance agency that covers you will do everything it can to avoid paying you what you deserve for your injury. An experienced attorney can fight against the insurance companies to make sure you get full compensation. If you have been injured on a jobsite, fighting for full compensation is likely the last thing you want to think about. This is especially true if you have been hospitalized due to your injuries. Yet, suddenly you find yourself unable to work. Medical bills pile up on top of everything else, all while the insurance company offers a measly sum that may barely cover the overpriced aspirin the hospital gave you. The Ernst Law Group can negotiate with the insurance company to make sure you are fully covered for lost wages, medical expenses and possibly even pain and suffering. You don’t have to go at it alone. Give us a call today for a free consultation.